Want to disable Chrome PDF Viewer? In this blog post you will learn right steps on how to do it. 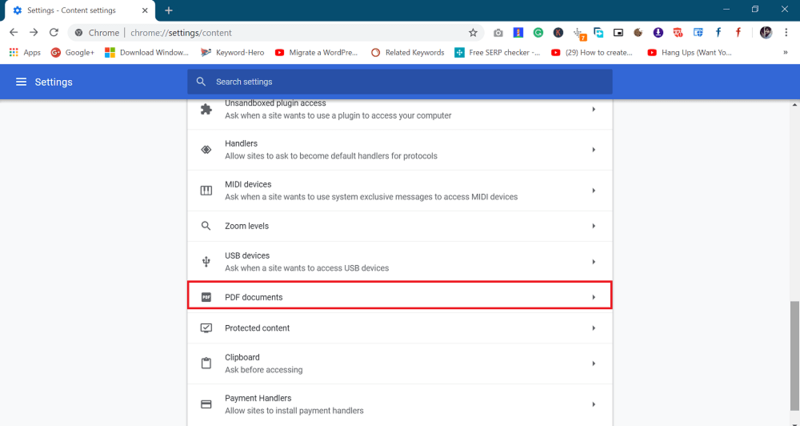 When you install Chrome browser on your computer, you get access to various in-built tools and one out of them is PDF Viewer. With default settings, when the user clicks on the PDF file link, the tool automatically opens the same file in Chrome PDF viewer instead of downloading it. Now if you only want to open the PDF files, then we find no real reason to disable the default PDF Viewer in Chrome. But if you want to edit the PDF file, then you definitely need a better third-party PDF editor like Adobe Reader. 1. 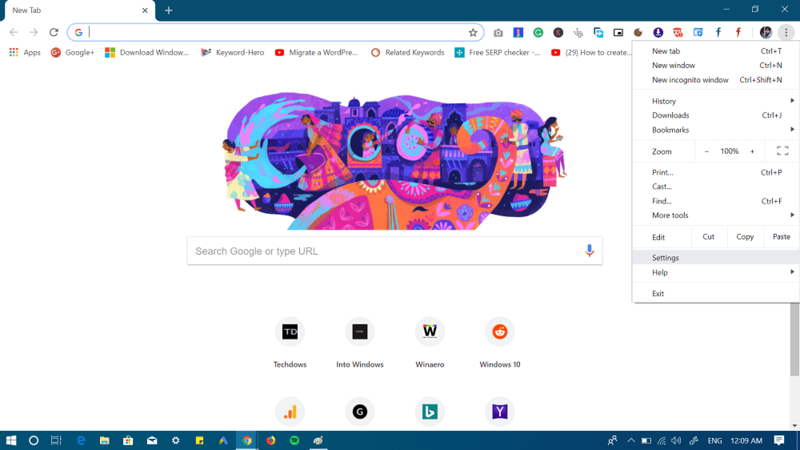 Launch the Chrome Browser and click on the Customize and Control (Three dots) icon available on the upper right corner. 2. Here on this page, scroll down to bottom and click on the Advanced option. This will unlock more advanced options. 3. Under the Privacy and Security section, you need to click on the Content Settings option. Now scroll down to botton and click on the PDF document option. 4. Here, you need to move the slider for “Download PDF files instead of automatically opening them in Chrome” to OFF position. Alternately, copy-paste chrome://settings/content/pdfDocuments in Chrome browser address bar to directly reach PDF Document settings page. Now onwards whenever you click PDF file link the browser will download it instead of opening it in the default PDF Viewer. You can open a PDF file the way you want. 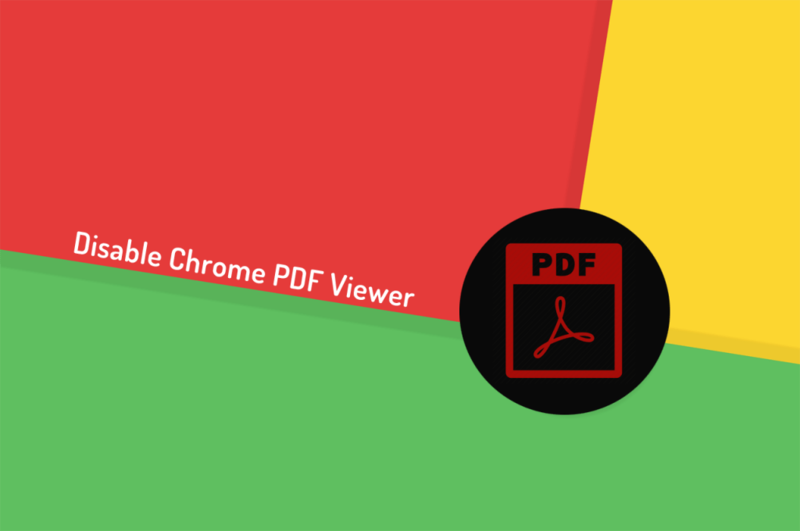 Find this blog post on how to disable Chrome PDF Viewer handy? We would love to hear from you in the comments.